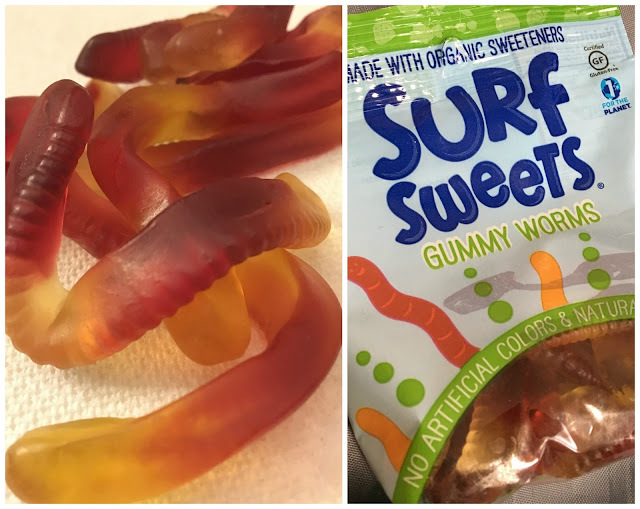 I was sent a sampler of six candies in the 2.75 ounce size. 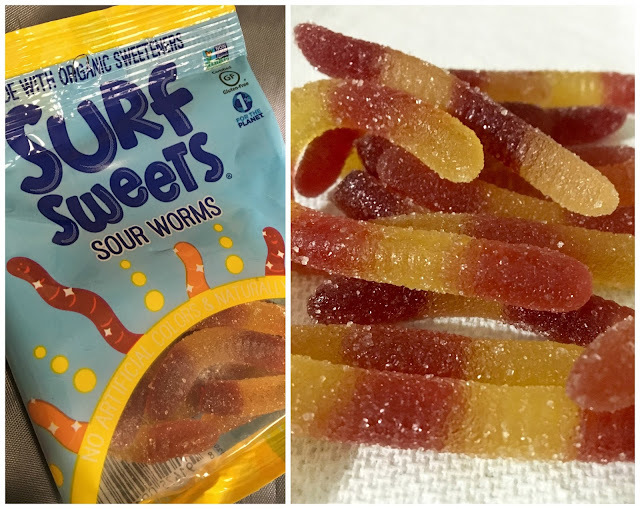 This size was perfect for sharing with a friend, or rationing out in multiple portion (if you don't eat the whole bag in one sitting!). 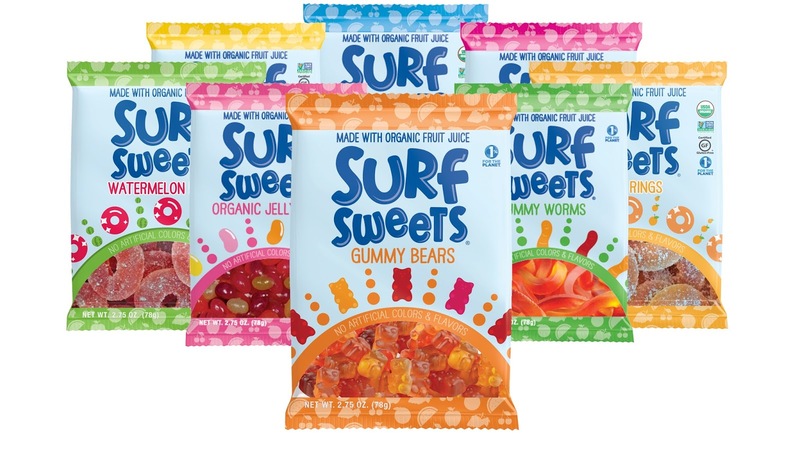 Because they are heat tolerant, throw one in a bag to take to the beach, movies, or wherever summer adventures take you without fear of melting. Gummy bears are a nostalgic classic for kids of all ages. 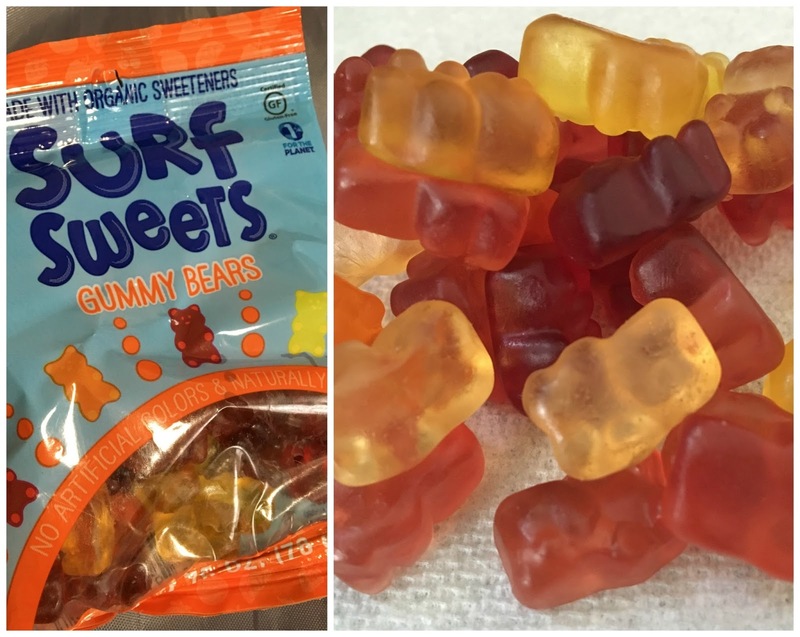 I loved the nice sizing and fruity flavors of both of the bears, but definitely am partial to the organic fruity bears which have a fun sugary texture that was a tasty treat on top of the fruity flavor. Between the sour worms and more traditional gummy worms, I definitely am partial to the latter. They're stretchy and fruity, and perfect for playing around with or creating "dirt" sundaes. 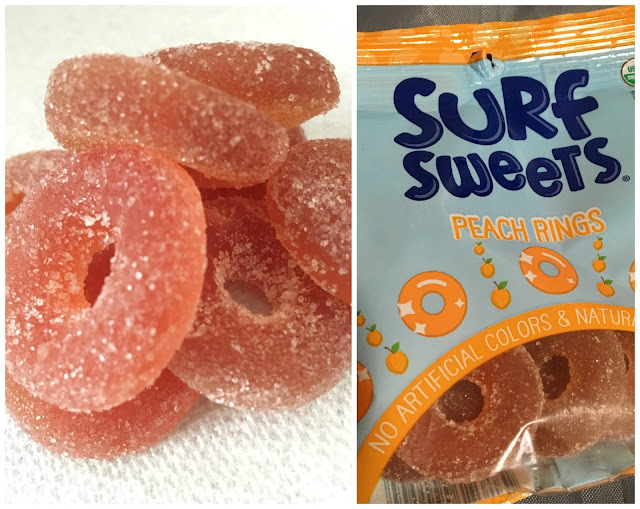 Both of these vegan fruity rings were an interesting for me to a trial because I am not really a fan of watermelon or peaches. 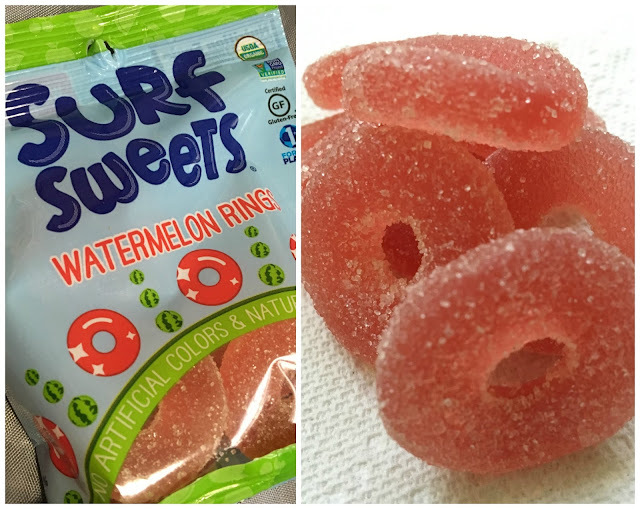 However, I liked the peach rings, and totally loved the watermelon rings. Sour and fruity and coated with course sugar crystals, these are totally a summer-worthy snack, and surprised me with how much I liked them. 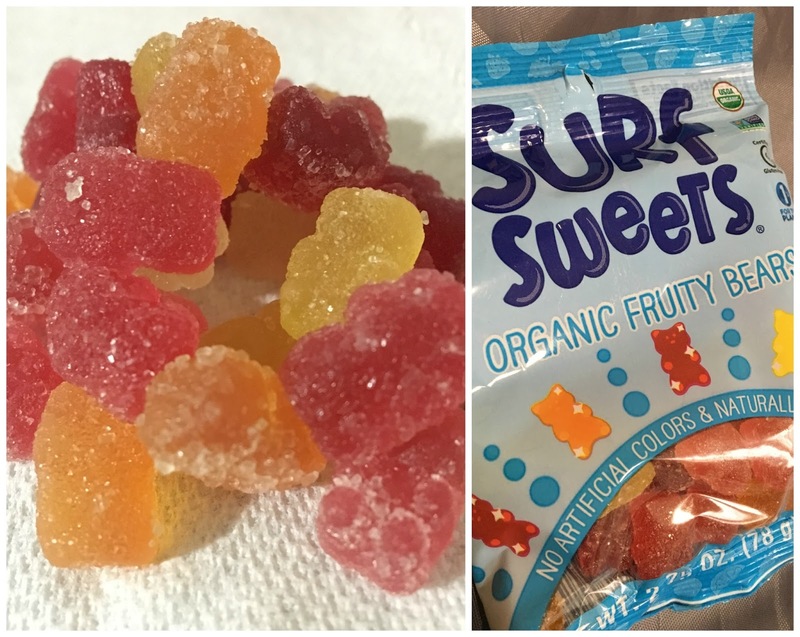 Vegans note that only the organic fruity bears, peach rings, sour berry bears (not reviewed), sour worms and watermelon rings are vegan. All other items pictured do contain animal byproducts in some form. Disclaimer: This review is current to the original publication date. Updates will be noted. Ingredients and manufacturing processes can change without notice. Each product should be reviewed for individual nutritional needs. Feel free to to contact me with any questions or comments. 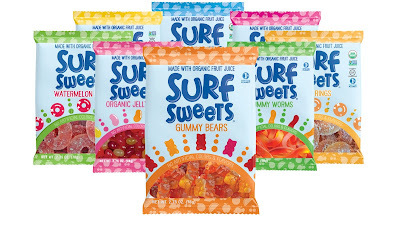 Surf Sweets sent me samples free of charge for review purposes, but the review is a reflection of my personal opinion.